5424 - Mr Gasket Exhauast Cut Out - Dezod Motorsports Inc - Home of the automotive performance enthusiast since 2002. 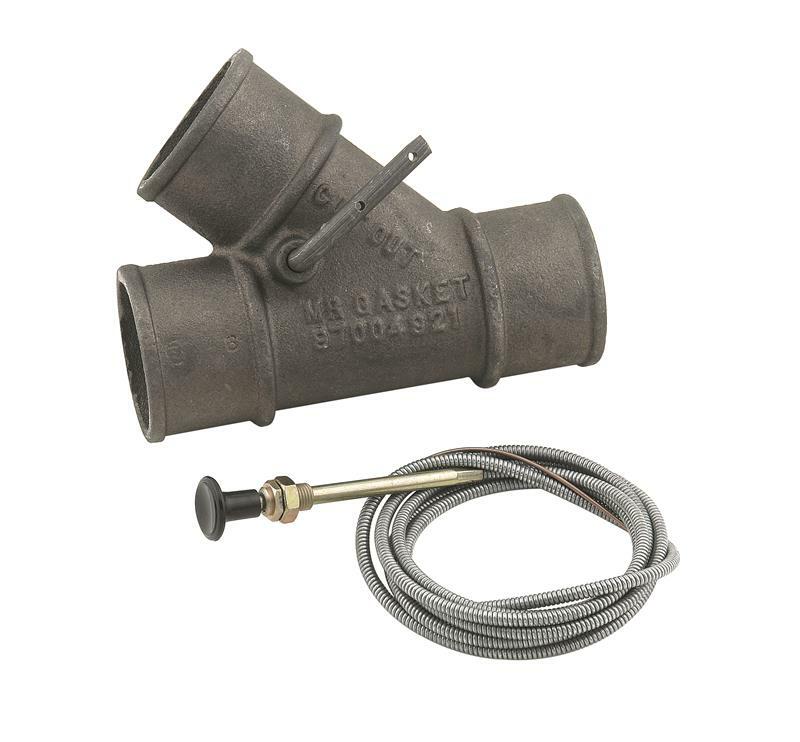 Now you can manually control the flow of your vehicle’s exhaust either thru the stock exhaust system or straight out the pipe, with an exhaust cutout from Mr.Gasket! Made from durable cast iron, the exhaust cut-out will accept 2” OD exhaust pipes. It can be used on other size tubing thru the use of adapters/reducers (not included). Control the sound and back pressure of your exhaust system with Mr. Gasket cast iron exhaust cut-out with cable. Manually control your exhaust flow through stock exhaust, thru a muffler, or out of a straight pipe. Accepts a 2 in O.D. pipe and brazing is required. Includes built in flapper valve.